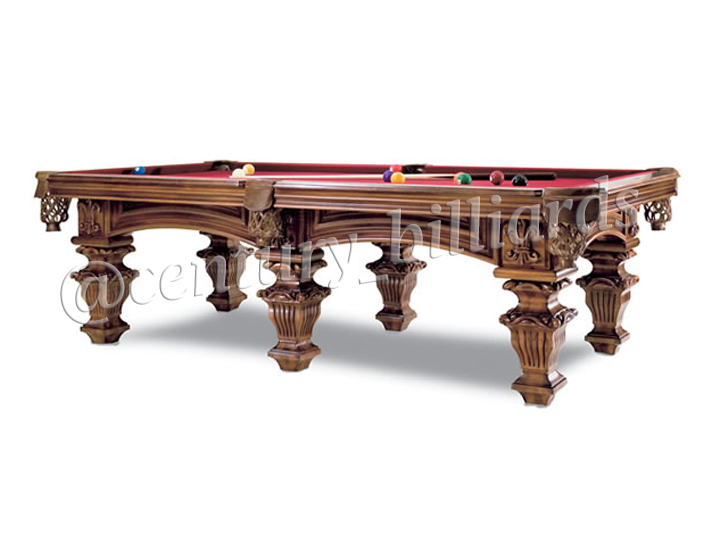 At Century Billiards and Game Room, we offer several different makes and models of pool tables. Each with its own unique style, we can match any interior décor or if there’s something you don’t see, we even offer Custom and Outdoor Pool Tables! Read more about our pool table collections below. If you have any questions, don’t hesitate to call us at (631) 462-6655 or schedule a consultation! 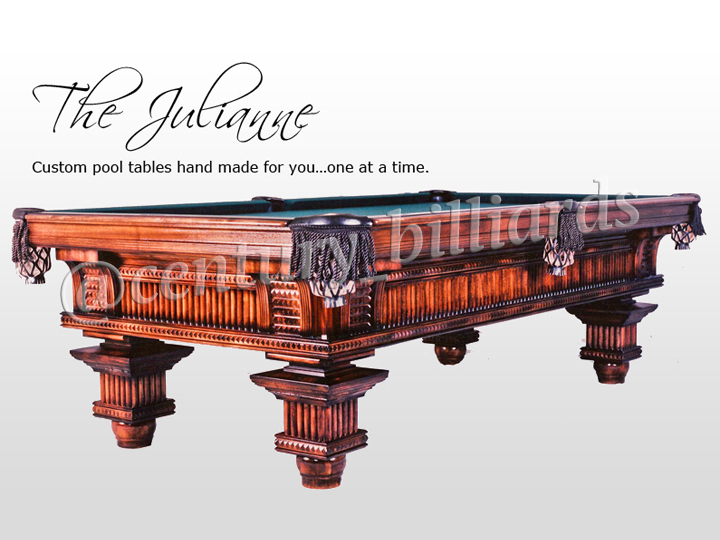 We combine old-world craftsmanship with modern technology, creating a line of custom pool tables found nowhere else. We have your modern stainless steel tables as well as many choices of exotic woods from all over the world to create a one of a kind custom pool table. 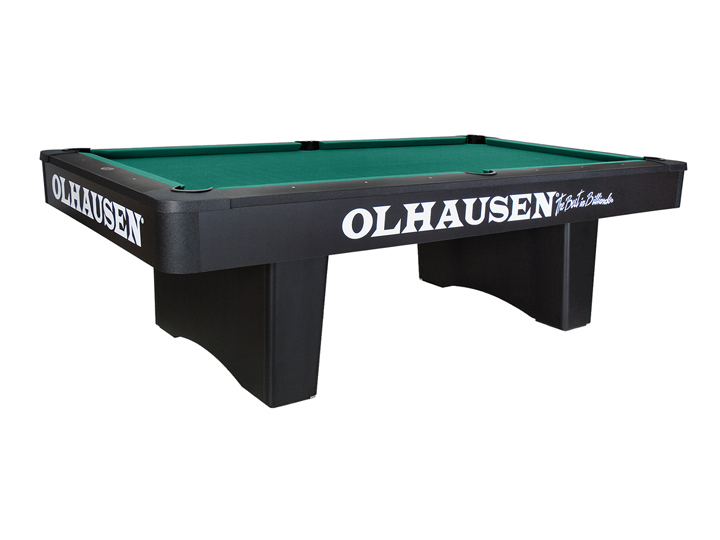 Considered to the “The Best in Billiards,” Olhausen offers the largest selection of quality traditional and modern style pool tables in the world. We have been an official Olhausen dealer since 1981 and are good friends with the Olhausen family. 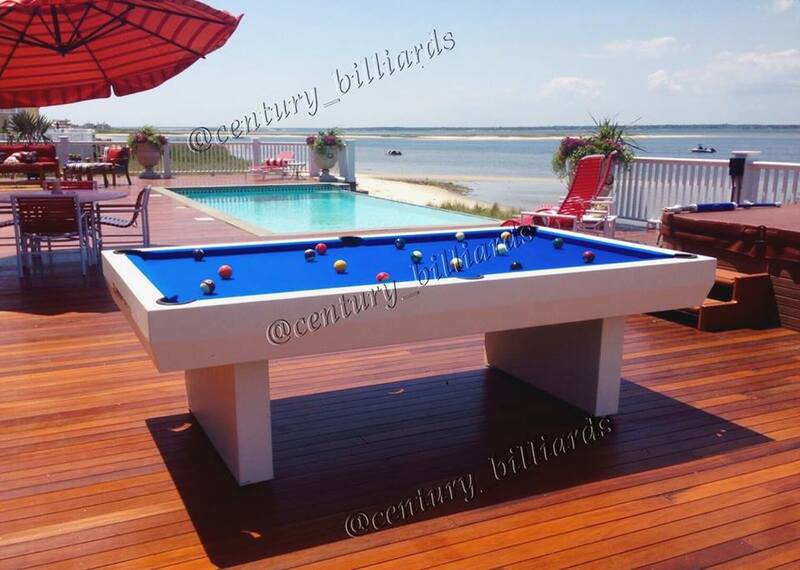 In fact, Century Billiards is the only Olhausen Pool Table dealer in New York. Many of these pool tables have that “old school charm” and become family heirlooms passed down from generation to generation. 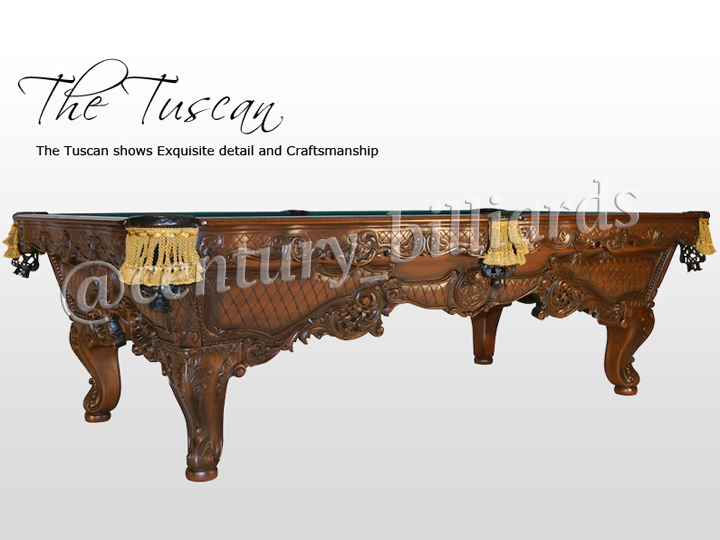 These beautiful handcrafted antique replica pool tables are tournament quality! 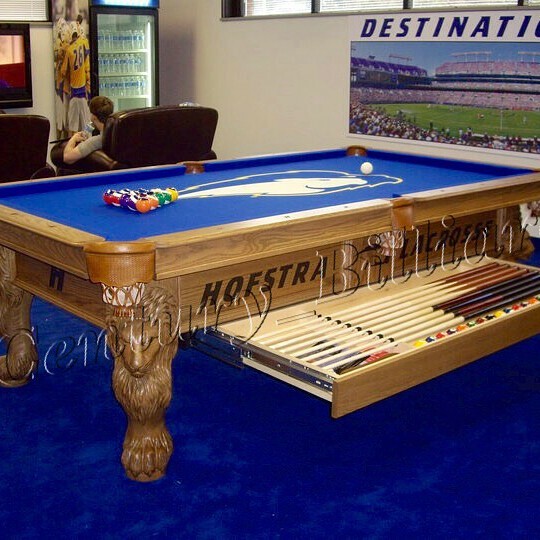 This style of pool table is perfect for your next game room or man cave because they have a traditional, masculine style and old world craftsmanship. These pool tables are in very high demand due to the fact that Vitalie is now out of a business and there’s a limited supply. With an all aluminum construction, our all-weather custom outdoor pool tables are built to withstand any weather conditions. Many have tried to imitate our tables, but no others can compare. We laugh at spills, hail, the rain, and even snow! If you make the investment in purchasing an antique or vintage pool table, we spend countless hours into restoration and fabrication of replacement parts that are not made anymore. Our family has been working in the Billiards since the 19th century and our experience with antique models is priceless!